Today GBPUSD is under the influence of Chinese Industrial Production and Retail Sales. 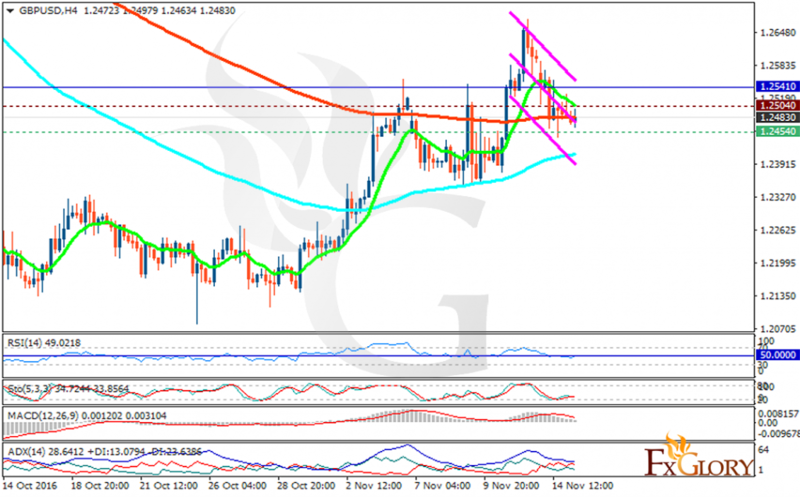 The support rests at 1.24540 with resistance at 1.25040 which both lines are below the weekly pivot point at 1.25410. The EMA of 10 is moving with bearish bias and it is getting closed to the EMA of 200 and the EMA of 100. The RSI is moving on the 50 level, the Stochastic is moving horizontally in its minimum rate and the MACD indicator is in neutral territory. The ADX is showing a good sell opportunity. Short positions are recommended targeting 1.2400.